HALLOWEEN IS SUCH A FUN TIME OF YEAR. I CONSIDER HALLOWEEN THE BEGINNING OF THE HOLIDAY SEASON…IT STARTS OUT WITH A BANG. 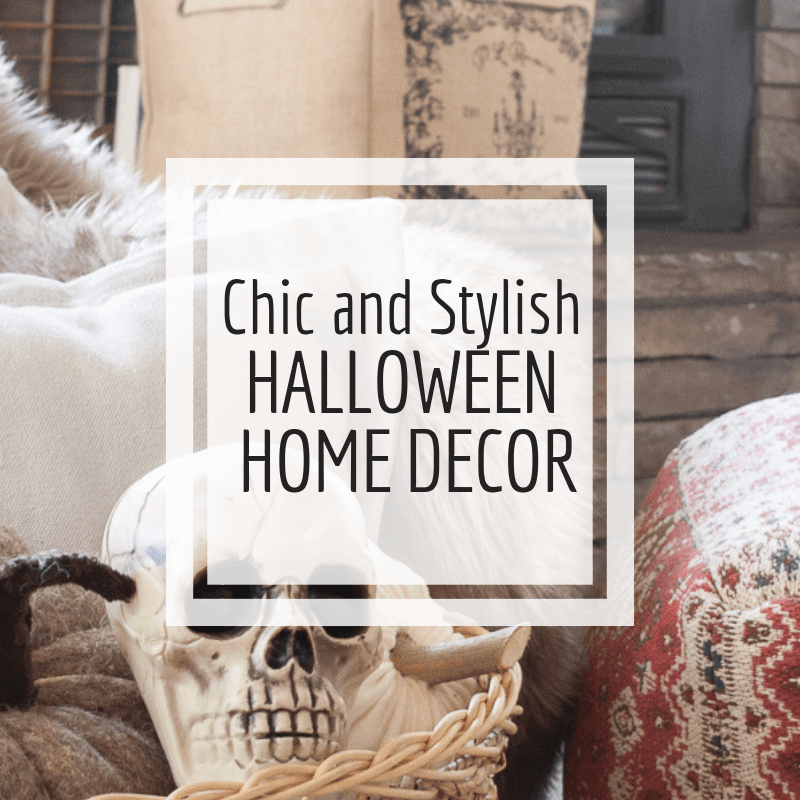 LETS SEE HOW I STYLED MY HOME WITH CHIC HALLOWEEN HOME DECOR THIS YEAR. Hey there, welcome to my spooky Halloween home! 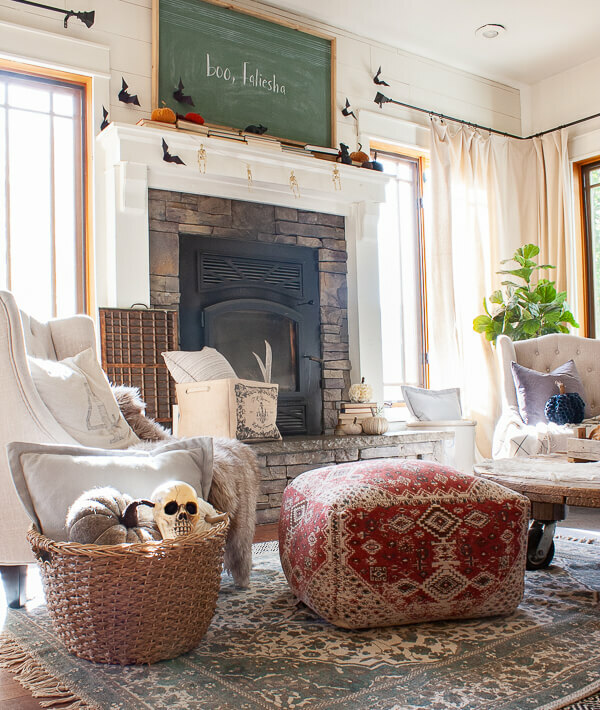 I am so thrilled to be here today with some amazing bloggers for a Halloween home tour organized by the awesome Kristen from Ella Claire Inspired. This is going to be the ultimate Halloween parties and you are invited to all of them! 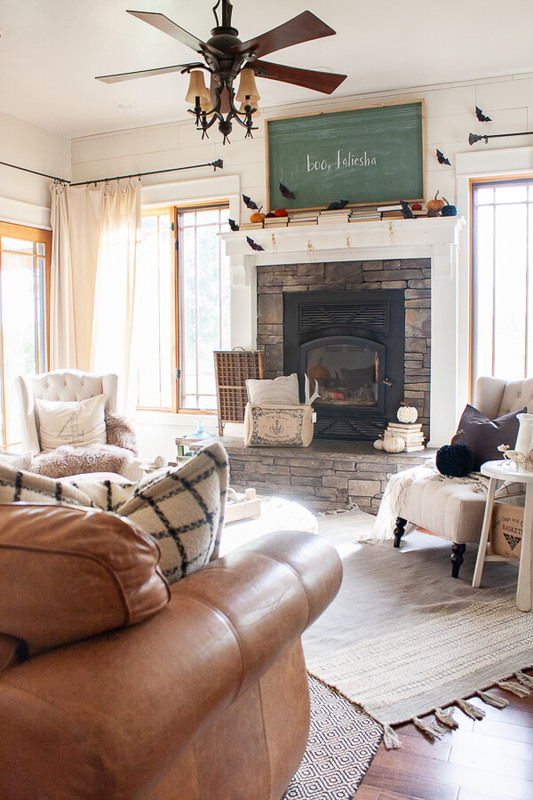 I just started going through some of these home tours and I am loving them! But first, lets check out my home tour. I think last year, I didn’t even barely decorate at all. 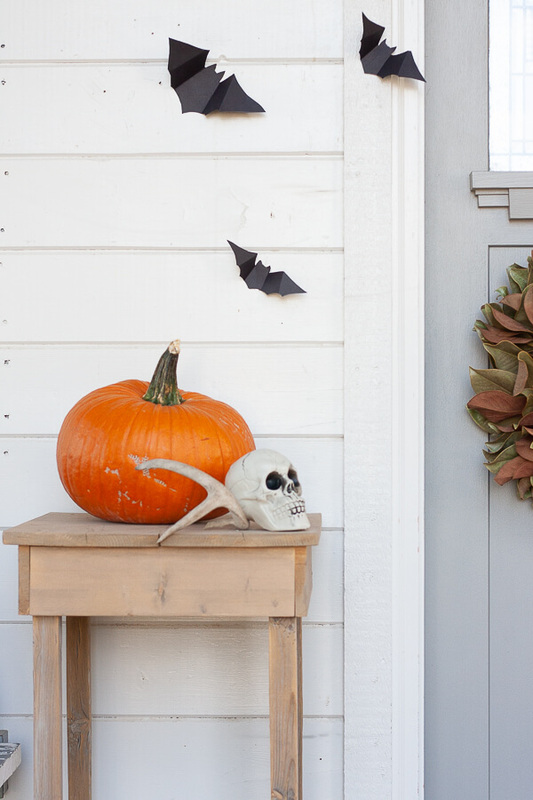 I believe I put up a lazy mans Halloween wreath(my super easy Halloween wreath). This year I wanted to up my Halloween home decor by going all out. 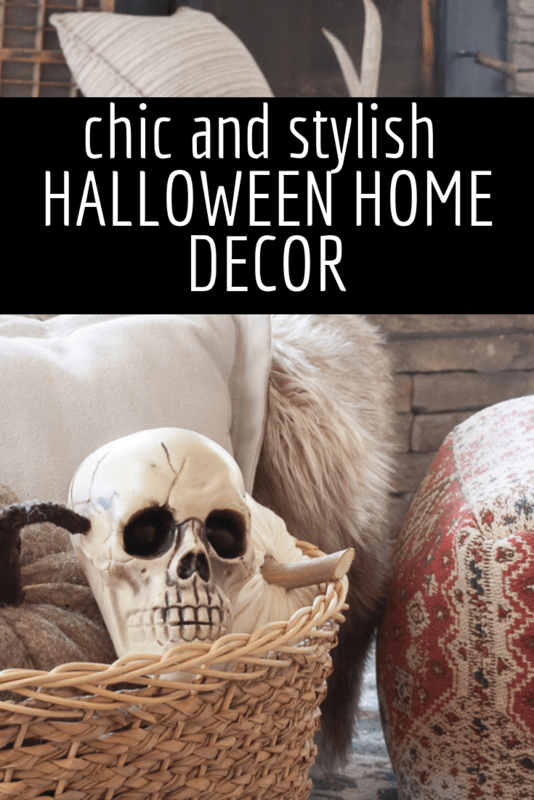 I think the reason I tend to shy away from Halloween decor is that I have like to keep my pretty home decor out, and wah wah, I sometimes think that Halloween home decor can be a bit flashy and crazy sometimes. But the good news is that you can decorate for Halloween without looking tacky and crazy. 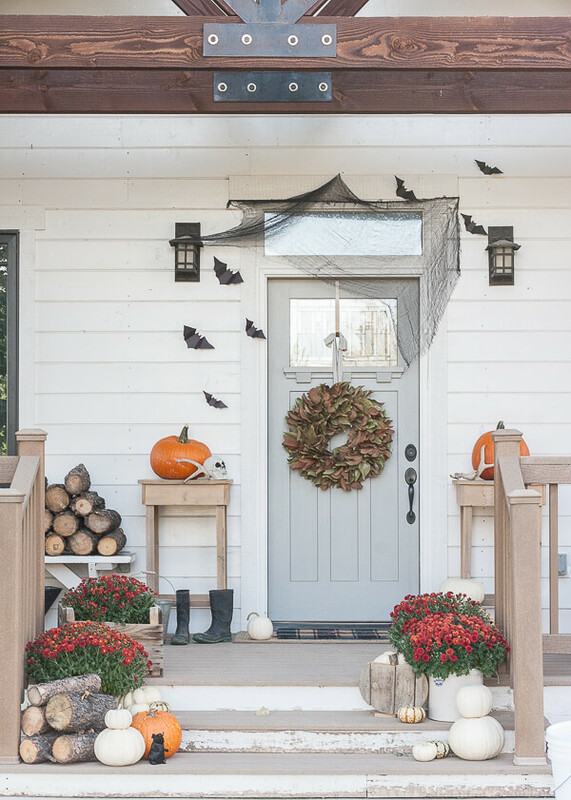 You can easily and seamlessly add Chic and stylish Halloween decor to your current decor and it will look so good! 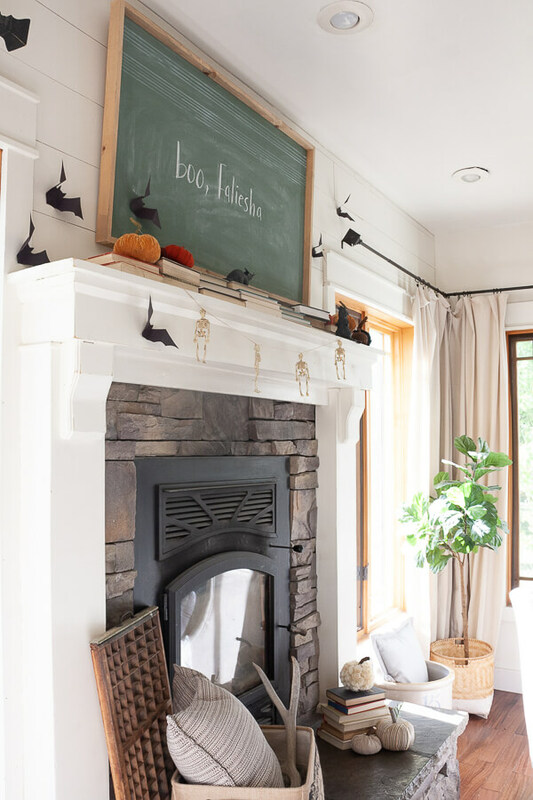 As you may have seen, I posted my first fall home tour a few weeks ago, and I wanted to be able to transition easily into Halloween without making any huge changes. 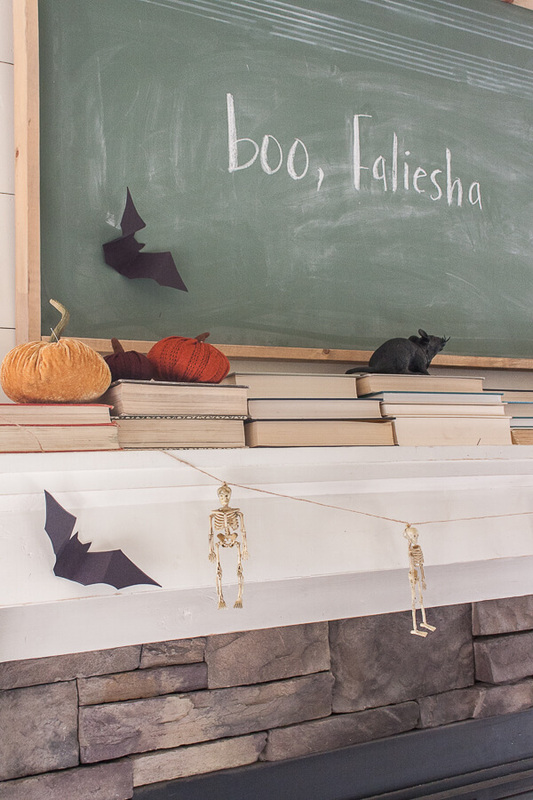 Halloween printables are a perfect way to decorate for Halloween! rearrange or change out your areas rugs(I actually have a few extra I store away depending on where I want to use them. 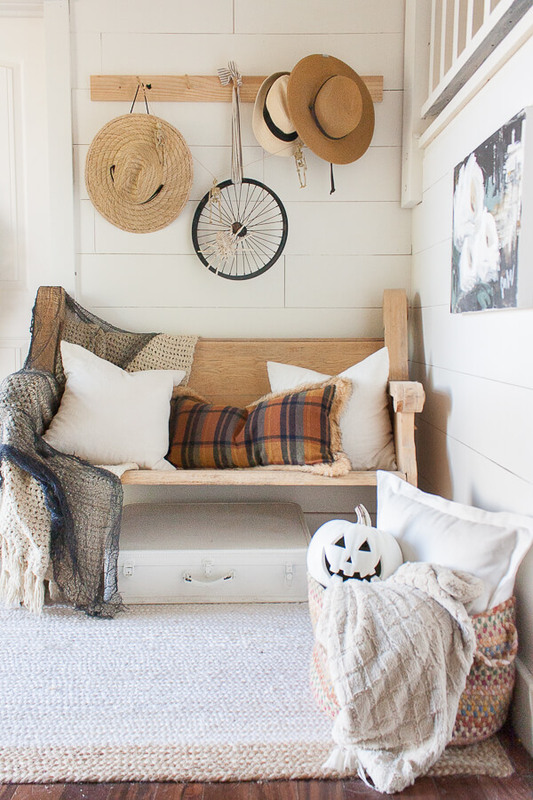 Most of my porch is still the same from my fall home tour, but a few things have changed. I changed up my rugs. 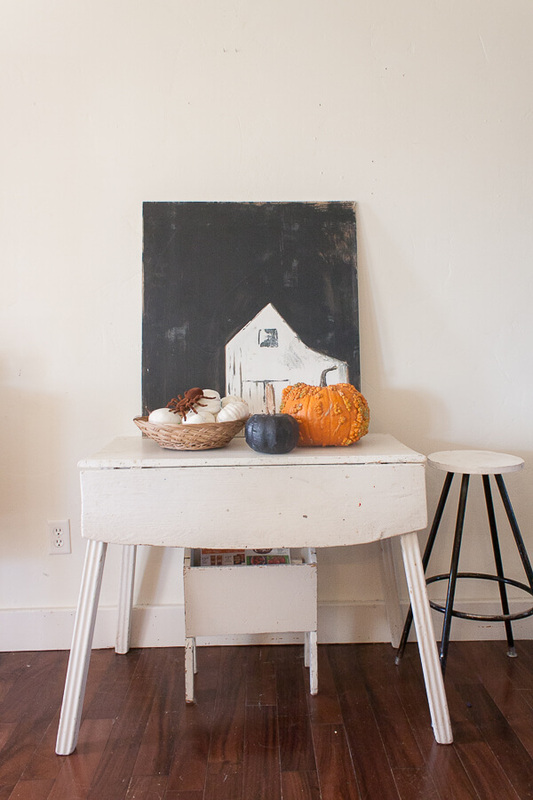 I took down by buckets and added simple pumpkins on my tall side tables. I still used my antlers, and added a dollar store human skull. I even kept my magnolia wreath and mums. Adding some classic pumpkins as well as some white ones, with some creepy items mixed in made for the perfect Halloween porch for me. I love that black and white netting you can get(the fake spider web, stuff) I hung some of that on my front door. I also dotted paper bats along my front door. I ended up making a ton of these for my kids school bulletin board and decided to use some in my house too. Its simple Halloween decor, and its working out nicely. A silly jack-o-lantern and a few creepy rats finished off the front porch. I changed out my fall basket wreath for a metal wheel with a creepy spider skeleton…which I thought was quite hilarious! I didn’t think they had a skeleton. I loved this skeleton garland that I got at the dollar store. 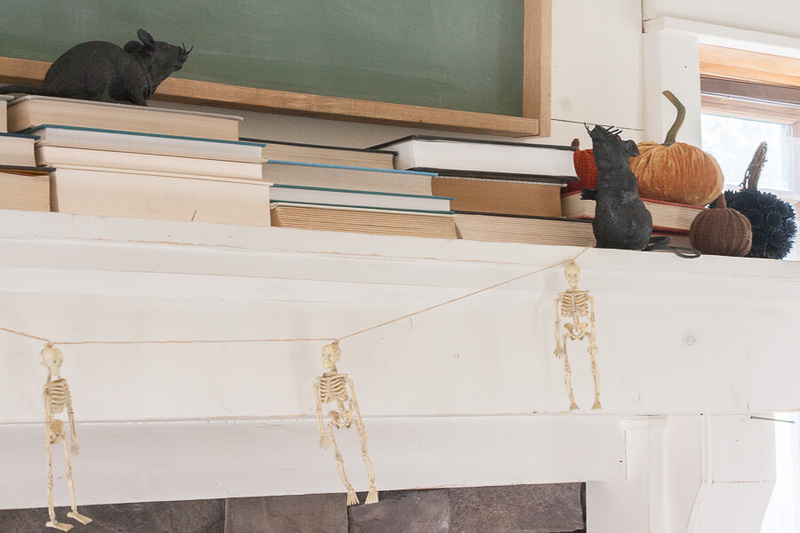 Such a cute and easy way to add some creepy Halloween decor effortlessly. My family room got a complete change up. And I mean, complete. 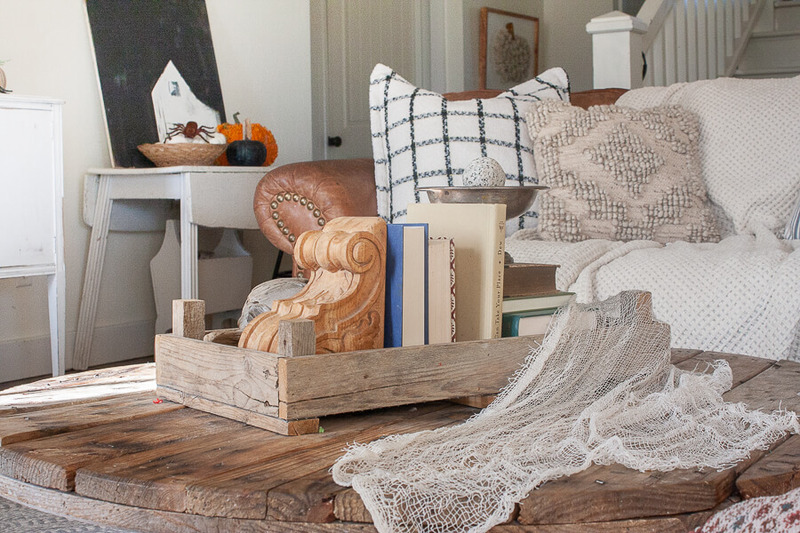 I changed out my rugs, changed up my fireplace mantel, pillows, and a few other odds and ends. I think this ended up being my favorite Halloween space. I found this amazing pouf at TJ Maxx and I loved it at first sight. I needed it…and I had to have it. My fireplace…I was so excited about this. I wanted to do something fun and stylish at the same time. 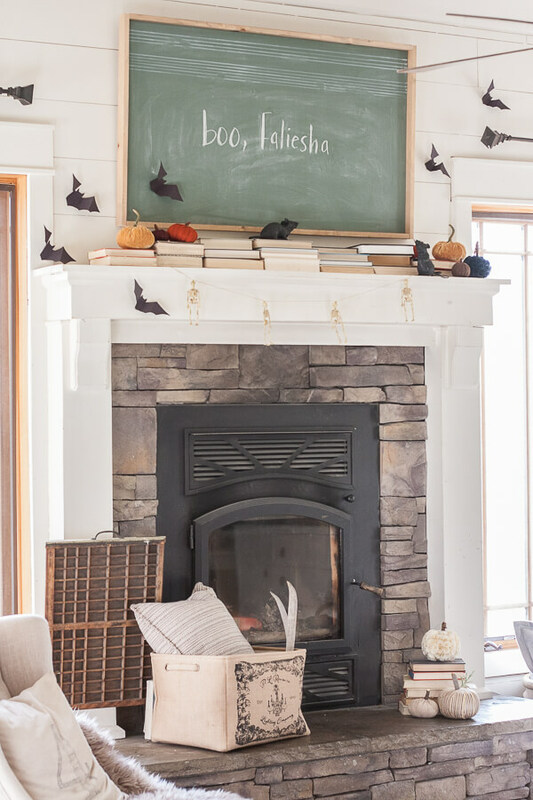 I hung my green chalkboard above my fireplace and I just had to do it…. You see…Boo Faliesha….haha! Well, we have a cat named Faliesha, and my kids love telling here “Bye” so this made us all giggle a little bit. This mantel was fun. I left the books on the mantel, they are one of my most favorite fixtures. 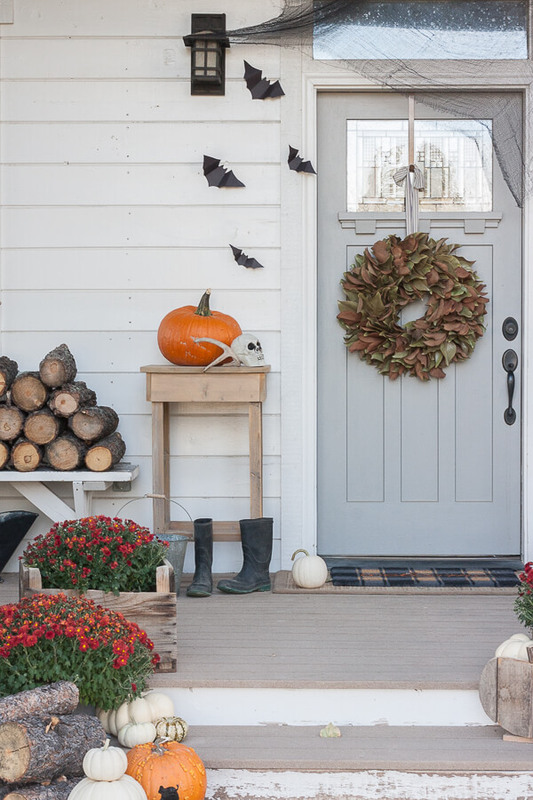 I added some skeleton garland and some more paper bats to reflect the ones on my front porch. 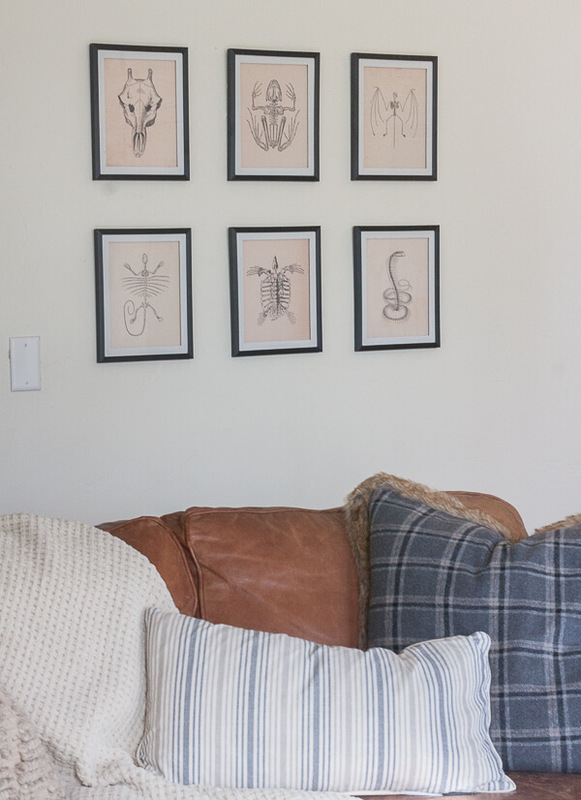 I added my set of Halloween printables to this wall, and I love how they turned out! Halloween can be fun, creepy, scary, and chic. Its a wonderful thing being able to combine those things. 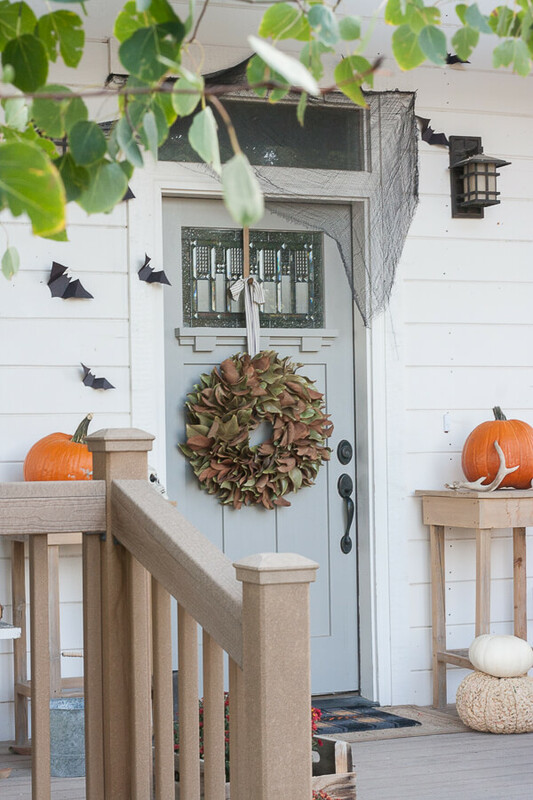 I love decorating my home for the holidays, and now, I am obsessed with decorating my home for Halloween! 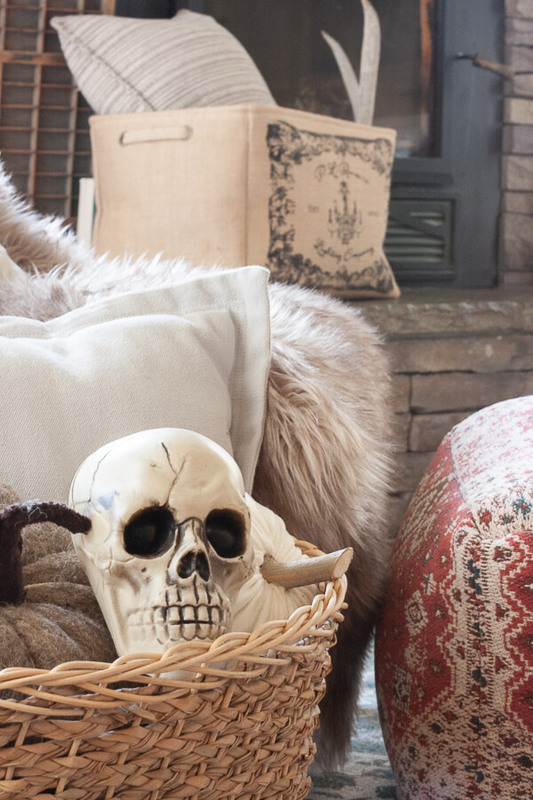 Chic Halloween home decor is just the most fantastic. Want to see more great Halloween home decor? « Super Chic and Stylish Halloween Printables! Get the Whole Set Now! Love it – especially your tombstones! Did you handpaint those? Your home looks so great for Halloween [also when it’s not Halloween 😉 ] but I love the decor you added, just right and not overloaded! 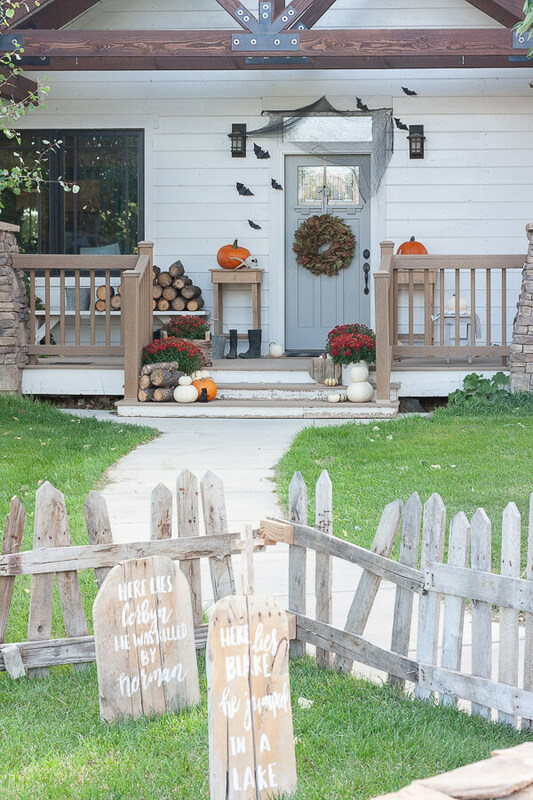 So many great ideas, but I think that picket fence out front might be my favorite! Love it all!! Your porch is FANTASTIC!! Those wood tombstones are the best! Beautiful ideas! You seriously outdid yourself on this project and I ADORE your Halloween style! So happy to be on this tour with you. What a beautiful Halloween tour, Sara. It’s definitely chic and stylish. 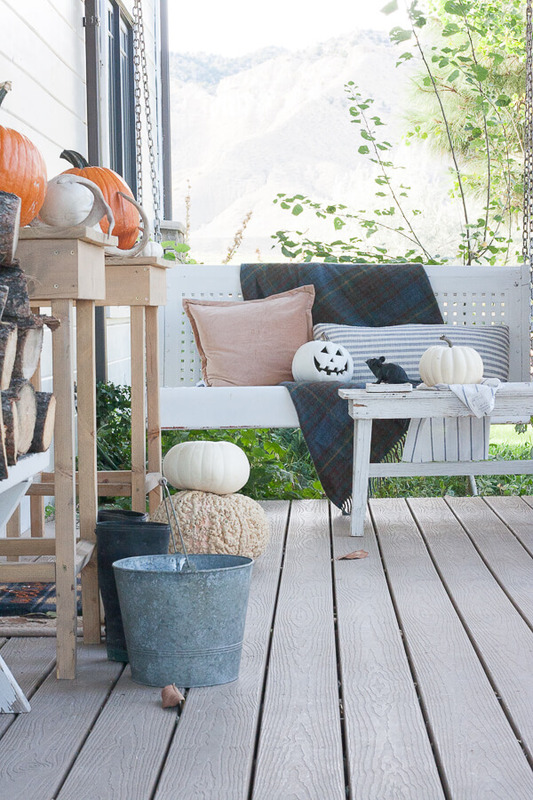 Your porch is to die for. I just pinned away like crazy 🙂 I love your home and decorating! 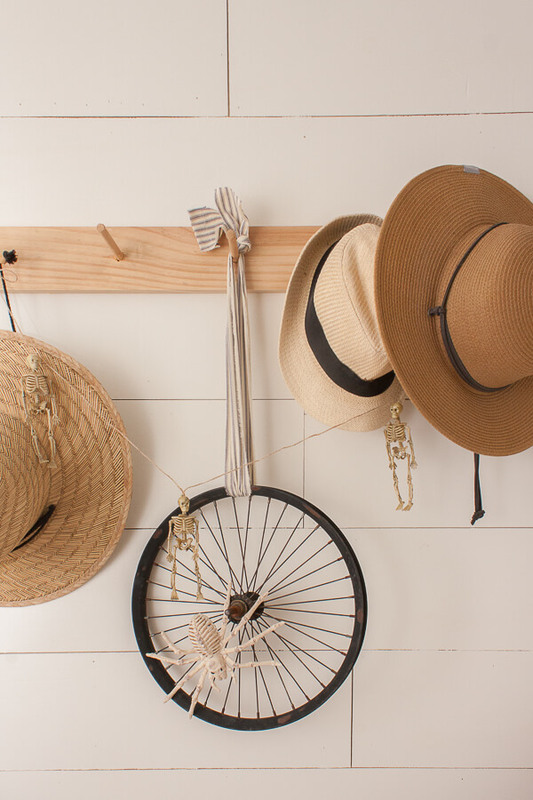 I love the rustic, farmhouse feel that your home tour has. Such meaningful vignettes make it special. Love the books on the mantle. all of it is so well done. Love your site! 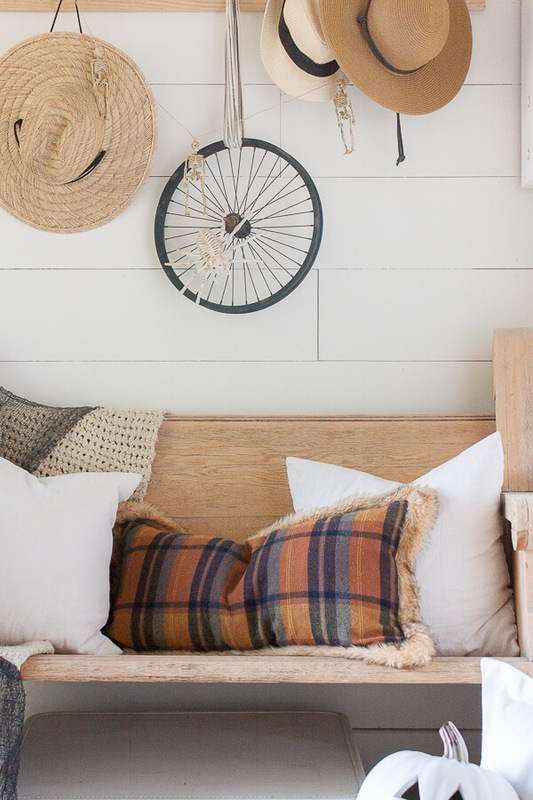 Would love to where you go the plaid pillow in your entryway, love the colors and the trim. Thanks.